55+ COMPLEX. NEW STOVE, NEW FRIDGE, NEW DISHWASHER AND NEW MICROWAVE BEING INSTALLED ON JULY 14TH. ROOFS FOR UNITS ALL RECENTLY DONE. 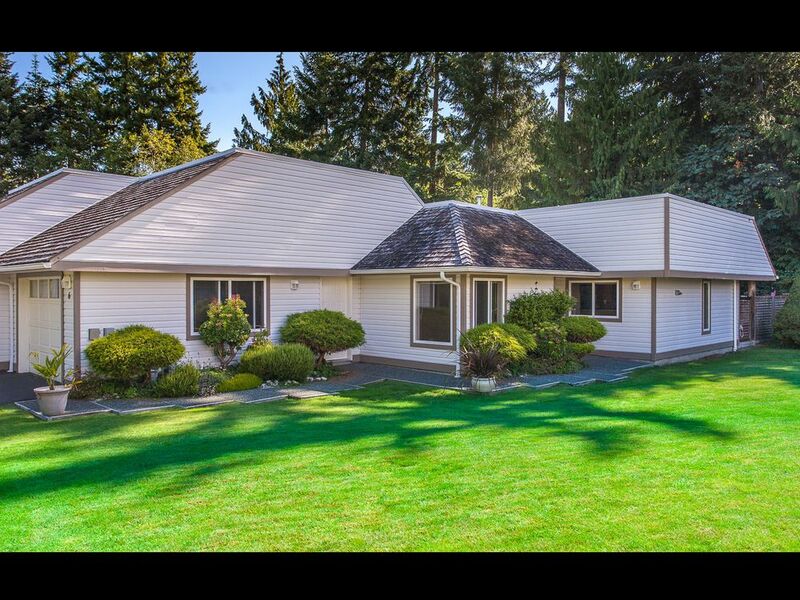 THIS 2 BEDROOM, 2 BATH UPDATED UNIT IS NESTLED IN ONE OF QUALICUM BEACHES DESIRABLE NEIGHBOURHOODS IN THE CEDARS! WALK INTO THE ROOMY FOYER, ON TO THE SPACIOUS BRIGHT KITCHEN WITH AMPLE CABINET COUNTER SPACE A WORK ISLAND! SKYLIGHT IN HALLWAY RESINATES SUNLIGHT INTO THE KITCHEN, LIVING AREA AND FOYER, GRACIOUS LIVING ROOM WITH DISTINCTIVE GAS FIREPLACE. HARDWOOD FLOORING IN LIVING, DINING AND HALLWAYS. THE LARGE MASTER BEDROOM IS IDEAL AND WALK IN CLOSET IS SUPERB! SPARE BEDROOM COULD BE USED AN OFFICE OR FOR GUESTS! DOGS AND CATS ALLOWED. THE GLASS SLIDING DOORS OF THE SPACIOUS DINING ROOM OPEN TO A FENCED, PRIVATE GARDEN PATIO THAT IS TASTEFULLY LANDSCAPED. THIS COMPLEX IS PERFECT FOR RETIREMENT LIVING. ONE SPOT AVAILABLE TO RENT OUT BUT NEEDS APPROVAL FROM COUNCIL.